The frozen remains of a horse more than half a million years old have reluctantly given up their genetic secrets, providing scientists with the oldest DNA ever sequenced. The horse was discovered in 2003 in the ancient permafrost of Canada’s west-central Yukon Territory, not far from the Alaskan border. And although the animal was dated to between 560,000 and 780,000 years old, an international team of researchers was able to use a new combination of techniques to decipher its genetic code. Among the team’s findings is that the genus Equus — which includes all horses, donkeys, and zebras — dates back more than 4 million years, twice as long ago as scientists had previously believed. “When we started the project, everyone — including us, to be honest — thought it was impossible,” said Dr. Ludovic Orlando of the University of Copenhagen, who coordinated the research, in a statement to Western Digs. Orlando and his colleagues published their findings this summer in the journal Nature; he discussed them today in a lecture at The Royal Society, London. Previous to this, the oldest genome ever sequenced was of a 120,000-year-old polar bear — no small feat considering that the half-life of a DNA molecule is estimated to be about 521 years. By this reckoning, even under the best conditions, DNA could remain intact for no more than 6.8 million years. But Orlando’s team was able to make the most of what they had for a number of reasons, he said. The fact that the remains were frozen helped slow the rate of decay. But they also “targeted specific DNA preservation niches,” he said, like the protein called collagen found in the animal’s bones, which is more DNA-rich than other tissues. “But also we pioneered the usage of what is called true Single Molecular Sequencing that basically reads through molecules as they stand, without further manipulation,” Orlando added. By tracking a full, single DNA molecule, the team was able to avoid having to “amplify” fragments, which can often introduce errors. 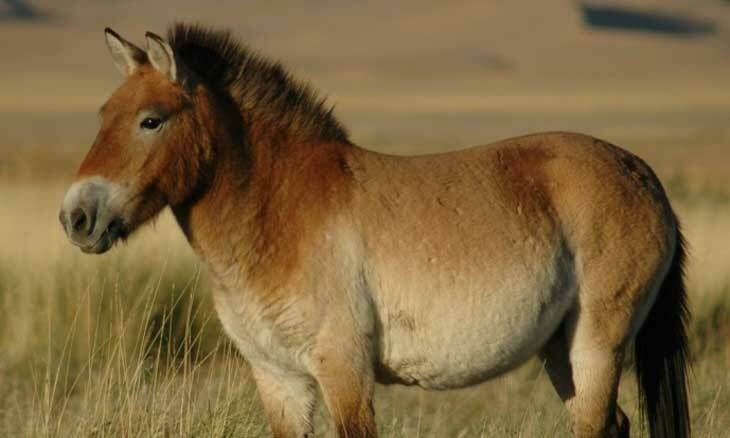 To get a better sense of what this new, ancient genome held, Orlando’s team compared it against that of a 43,000-year-old horse, plus modern domestic horse breeds, and finally the Przewalski’s horse, an equid that makes its home on the Asian steppes and holds the title as the last surviving population of wild horses. These full-genome comparisons allowed the scientists to construct “a molecular clock” that can reveal benchmarks in the horse’s evolutionary history, Orlando said. And first among its revelations is that the shared ancestor of all horses, donkeys, and zebras lived more than 4 million years ago. 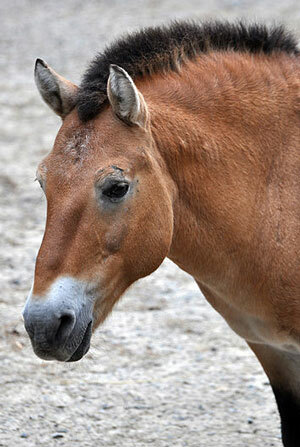 “So basically we know that members of the genus Equus are at least twice as old as previously believed,” he said. The comparisons also shed light on genetic variations, and therefore population size, over time, Orlando noted, revealing “bursts of expansion” during cooler periods as grasslands grew, and contractions in size during times of warming. The next, most obvious subject for these DNA-decoding techniques are early human ancestors, he said. Methods like those used on the ancient horse could be applied to determine, for example, how human species like Homo heidelbergensis may have been related genetically to Homo neandertalensis and modern humans, he said. “It’s not the future,” he said of whether this technology is in reach. Orlando and his colleagues report their findings in the journal Nature. Would think that for a horse of that ancient time the DNA would be very un-stable..! Where can the full article be found? Are the findings published? I would love to know more about what this skeleton told them – like size, habitat, diet….. Thank goodness the BLM didn’t exist then or these early equine creatures would never have been allowed to thrive and reproduce. If discovered 2003 why did they just now publish these facts? DNA testing was available in 2002 and a bit earlier. What is the ‘whole’ story! 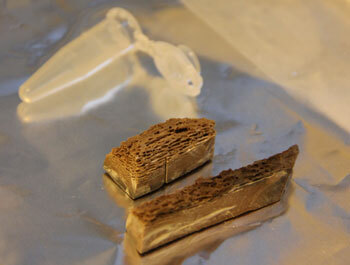 700,000-years appears to be a long time-period for any animal’s DNA to be found in permafrost in Canada. I MUST wonder if this long period in time has not been embellished by the simple error of adding one too many zeros onto the total as these experts did their calculations? In other words: the age of this horse would be more-like 70,000-years?